There are strange expectations on women that when they become a mom that is all they are supposed to be. What if being a mom isn’t the most important thing to you? What if you are other people besides mom? It’s all too easy to get wrapped up into motherhood. Many women take that cloak and never take it off. Some mom’s let that cloak change them and then when the motherhood job is “done” they don’t know who they are. Don’t get me wrong change can be a good thing and if you are good with the change than that is perfect. This is for the moms who didn’t realize how much they were changing and losing themselves in this cloak of motherhood. For the moms who have dreams that don’t necessarily include their children. When I was a kid my mom lovingly looked at me and said, “Your father is my #1 priority because you will grow up and leave this house.” That always stuck with me. Children are temporary guests in your home, you raise them, teach them, and when they are ready, they leave the home. Now, we all know that if the house were on fire she would save me first because my father would most likely be able to save himself. Honestly, this is the case in every family. The children come first in case of danger. However, I grew up and moved away. My father is still there and my mother created a life outside of the cloak of motherhood. She showed me through her actions that there is more to her than just motherhood. I wanted more to me than just motherhood. For those of you looking for a little more balance between who you are as a person and who you are as a woman I have a few helpful tips. Motherhood is great, heartbreaking, tough, and joyful all at the same time. If you want a side of you that isn’t just mom you will want to read on. First off, and it’s smart to do this before you have a child together but sometimes you don’t do it till after. Get on the same page with your spouse. Let them understand that you are still more than just mom. You and your spouse will need to be a team in order to build a life outside of parenthood. You will both need to know and reinforce each other’s actions when it comes to your children. You need to be a united force. This will mean children aren’t getting different answers, reactions, and discipline levels between the two parents. So if you are out enjoying life as a person instead of mom, your children will for the most part get the same interactions with your husband as they would you. It’s almost too easy to let your hobbies fall by the wayside when you become a parent. You spend so much of your time taking care of your child that the hobbies just don’t seem all that important. They really are that important. Make time to sit and focus on your hobbies. I remember when Lucas was first learning to scooch and crawl I used to take him upstairs with me to my painting studio. I would lay him on his belly and I would paint while he got some floor time. That time to focus on my hobby became extremely important to me. It also led to a nice little side hustle for a while. Which then turned into a successful Etsy shop and later helped to inspire this blog. Spending time on your hobbies gives you time to expand yourself outside of motherhood. Even if your children are nearby while you do them you are still spending time on yourself. It allows for continued growth. Check out my post How Busy Mom’s Can Feel Human. When life gets busy the first thing that usually gets shoved to the back of our minds are our dreams. It’s important to keep dreaming and to dream big. They are what keep us going and keep us working when life puts all of it’s demands on you. Dreams help you go after the things you want. They help you to build yourself up outside of the cloak of motherhood. Furthermore, it teaches your kids to dream and then work towards those dreams themselves. This sets them up for a successful and happy adulthood. I can’t wait to take a family vacation to Disneyland for the first time in my life. Sometimes reaching our dreams can actually create stronger family bonds and create long lasting memories. 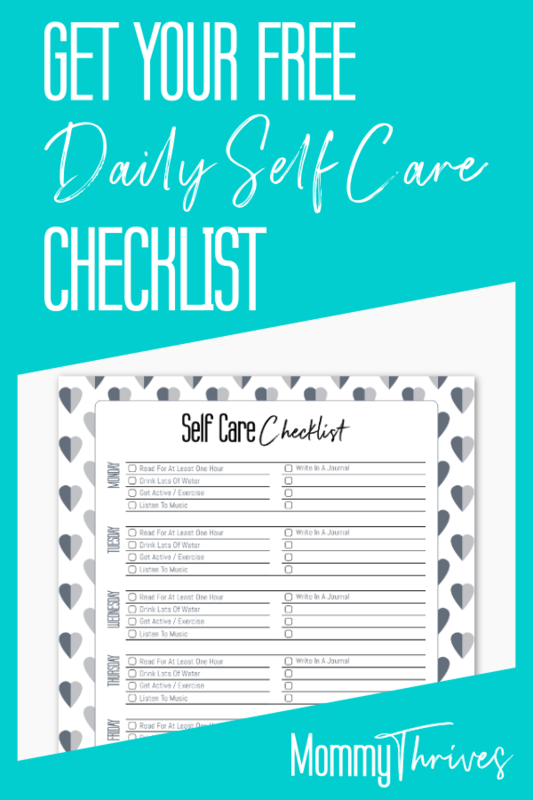 It’s extremely important to create a self care routine as a mom. You need to take time to care for yourself. Time in silence to reflect and be in your own mind. All too often self care gets pushed to the side in order to make room for everything else that is more important. Self care is important too. Taking time for self care helps you to feel happier and be calmer. Children feed off their surroundings. If you are calm and happy your child will be calm and happy. In order to be a calm and happy mom you need to make sure you are taking care of yourself. None of this is possible if you don’t set a schedule for yourself and your family. It doesn’t need to be a strict schedule but there needs to be a schedule set. You need to have work time, play time, and me time scheduled daily or at least weekly. Busy lives lead to more stress and your entire family will feel the weight of that stress. Learn to say no, learn to delegate, and stick to a schedule that works for your family. This will go a long way to helping you find balance in motherhood. Robert and I recently went on a date. It was our first date in almost 4 years. It was wonderful getting out and enjoying ourselves. We were just Robert and Crystal, not dad and mom. Of course we sat and discussed business for an hour and a half. However, we were able to discuss business without being interrupted with juice requests, food request, diaper changing, and play time requests. We felt like adults for just a couple of hours. That is what can make all the difference in finding balance in being a parent. Getting to enjoy a part of your life that doesn’t involve kids. I am not going to qualify this entire post by saying I love my son, it’s not hard to see that. I am going to say that it is important to find joy in being a mom. Play like you are a kid again, teach them new things, embrace every milestone. Plan fun things to do as a family. Put down the camera and live in the moment taking in every smile and reaction. Finding joy in motherhood is just as crucial as taking time away from motherhood. Spend time daily enjoying your kids and viewing the world through their eyes. Watch movies together, laugh hysterically, and create memories together. Find the joy in motherhood and focus on that joy when things get tough. We will never fully escape motherhood but we do need to continue to grow as people and not forget that there we are whole people still. We are not just mom’s, we are more than just a woman, but they are all important parts to our whole. While we may need to spend time focusing on the parts that aren’t mom, finding a balance we can grow in all aspects of our lives. What do you do to find balance between motherhood and being your own person? Let me know in the comments below. Follow me on Pinterest for more like this and make sure to share this with your mom friends.